How to write a film analysis? The review is created so that the reader can draw a conclusion: is it worth watching the movie, or is it better to refrain from viewing. The main thing is that the author’s opinion should be independent. The review is a far better analysis of the film than a trailer that lasts a few minutes. After all, the creators of such videos are trying to show the brightest moments of the film, the best special effects, exciting moments. And the author is independent, and gives a more accurate estimate. To have quality work, you should start right after watching the movie. As a result, it will be possible to transfer the information better and more accurately. Of course, the impression of watching a movie in a cinema differs from watching at home. If you want to know how to write a movie critique professionally, pirated films should be completely eliminated. So, how to write a movie review step by step? Bring a notebook to the cinema. Once the session is completed, write down the highlights that you liked and that made a vivid impression. When you come home, you should come up with a headline. Of course, it’s very easy to name the article “Review of the film … .” However, in this case there are no guarantees that your work will be of interest to someone. You should come up with something extravagant and memorable. The title must contain the name of the film. In the title should be intrigue, at least a small amount. The introduction should briefly reflect the idea of the film. You can also write the main line of the story or, for example, list the names of the actors, and write in which pictures they were shot before. But there is a very important rule: in no case you should disclose the riddle of the film. Do not reveal all secrets. In addition, one should avoid boring retelling. In the introductory part, we must indicate why we write about it, so we should briefly tell a story. Remember that there should be no spoilers in a review to a movie or book. The spoiler is the disclosure of plot intrigues that will make viewing or reading for others uninteresting. Do not rush to abandon viewing, stating that you grew up from children’s comic films about the adventures of superheroes. For example, you can note that the film is positioned as a beautiful story about love, which will be interesting to viewers of all ages. Analyze the film. Make a conclusion about whether the main idea is embodied in life. Write down the highlights that you liked. Express a general impression of the film, but in any case, do not give a personal evaluation. This is what distinguishes the comment from the review. Conclusion: here it is necessary to designate what the viewer will receive after viewing this movie. Will it be positive emotions? Will the viewer learn anything, or just have fun? Tell us, please, when did you last go to the cinema? Yes, any movie can now be bought on a pirated disc or downloaded on the Internet and viewed at home. But I assure you, the pleasure cannot be compared with a visit to the cinema. After all, going to the cinema is at least small, but still an event. It is the smell of hot popcorn, soft chairs and exhilarating anticipation, the opportunity to be with your loved one, and strong emotions. And it’s also an opportunity to write some excellent reviews! There are quite a lot of sites devoted to cinema on the Internet. These are the shops that sell the same pirated discs, and film portals, and movie actors’ sites. And all these sites need feedback and reviews on movies, especially on news of film distribution. There is a demand. There must be an offer. Of course, you can write an article about the film based on the reviews already published and the trailer. But a really interesting, deep review can only be done by watching the film. Without hesitation, buy tickets for the most fresh films, and it is desirable to watch it on the first days, after the release of the film, to write a review when the interest to the film is fresh. And go to the cinema. It is possible to do it with a notebook to record thoughts on the film in the course of action. At home, as soon as possible so the impression has not subsided, start writing a review. We must remember that we are doing a review, which will be relevant only while the film is presented in the cinemas and a few weeks after. Therefore, we need to quickly write and submit a review. Keep in mind that the response is usually written by a simple person, and the review is done by a professional film critic. The latter assumes a deeper analysis of the director’s creativity, the prerequisites for the creation of the film, the evaluation of its influence on filmmaking, and so on. There is a possibility that if you regularly write reviews of new films, you will become better in your writing. But you can write something in between feedback and a review, a text that will get a high grade. 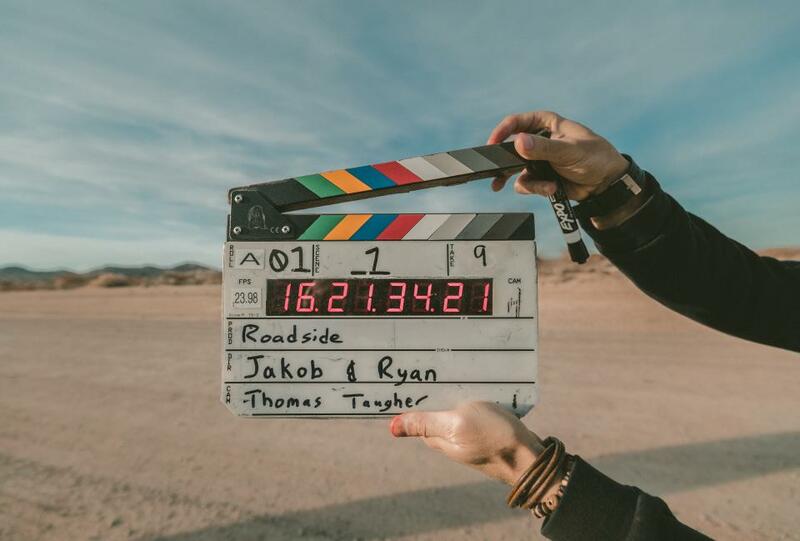 We hope that our guide will help you to write your own movie review, also check out 7 Killer Tips on How to Write a Movie Review.